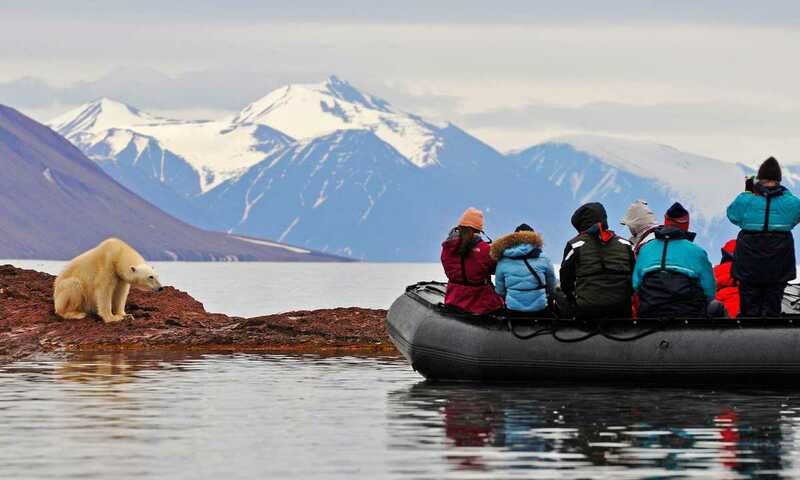 Travelling at the height of the Arctic summer under the midnight sun, spend 10 days exploring the northwestern parts of the Svalbard archipelago. Highlights include encounters with walrus, reindeer and belugas, while the chance of glimpsing the white bear is ever present. Also includes visiting historic sites and majestic glaciers. Today, embark in Longyearbyen and sail out into Isfjorden during the early evening. With almost 24 hours of daylight at this time of the year, enjoy the views from the outer decks of the ship as you depart. Meet your fellow passengers and the expedition team during an introductory briefing and enjoy a welcome dinner as you set sail. Beluga whales are frequently seen as they transit the narrow sound near Bourbonhamna. It is estimated there are approximately five to ten thousand belugas in the Svalbard population. On the shore excursion, an old hunting cabin and other artefacts are points of interest. You will also hope to catch a glimpse of dozens of reindeer that inhabit the area. The Lilliehook Glacier is an incredible sight. The face stretches almost seven kilometers across and has a height of around 80-meters. Viewed from the ship or on a zodiac cruise you come to appreciate the enormous scale of our surroundings. The area is home to numerous bird colonies and a variety of different species. As you cruise the dark waters, you are always on the lookout for bearded and ringed seals, both species known to frequent this fjord. At 81 degrees north latitude, Phippsoya is just 540 nautical miles from the North Pole. 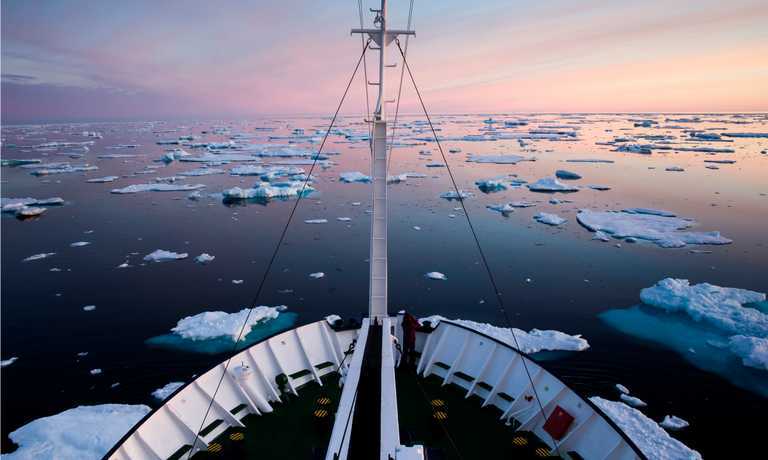 The high ice classification of the ship allows you to approach the edge of the pack ice in safety and comfort. 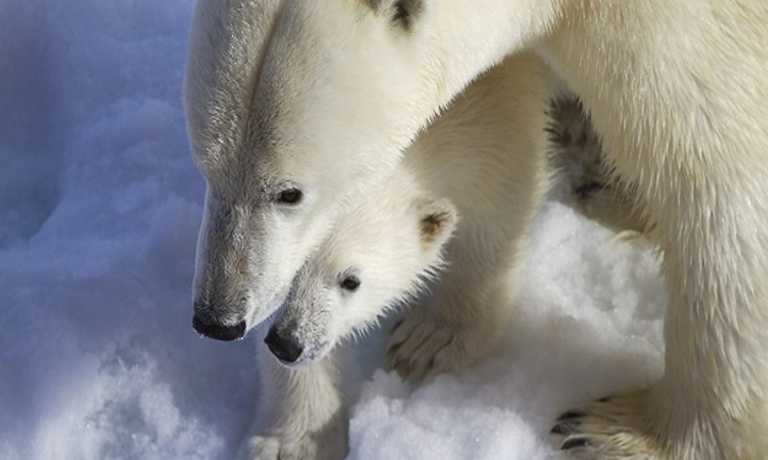 Because of its proximity to the permanent Arctic ice pack, Phippsoya offers the potential for great polar bear viewing. In recent seasons passengers have enjoyed excellent encounters with polar bears in this vicinity. Enter the main channel separating Svalbard's two main islands. In Hinlopen Strait, the bird cliffs at Alkefjellet is a wonderful place to kayak or zodiac cruise and view the local wildlife. The cliffs here afford breathtaking views. Fuglesangenoya is home to a large dovekie colony. Nearby is the old whaling station of Smeerenburg, literally translated as 'Blubber Town'. As you hike the shoreline of the old station, learn about the importance of whaling in the discovery and exploration of the Svalbard archipelago. The blubber ovens stand as a reminder to this harsh industry in an equally harsh environment. Visit the walrus colony on Prince Charles Island and hope to see these odd looking animals ashore. It is an incredible sight. Approaching from downwind can often confirm that walrus are ashore - the smell of a walrus haul out is quite 'unique'! Tonight, celebrate your journey with a special dinner attended by the ship's Captain. 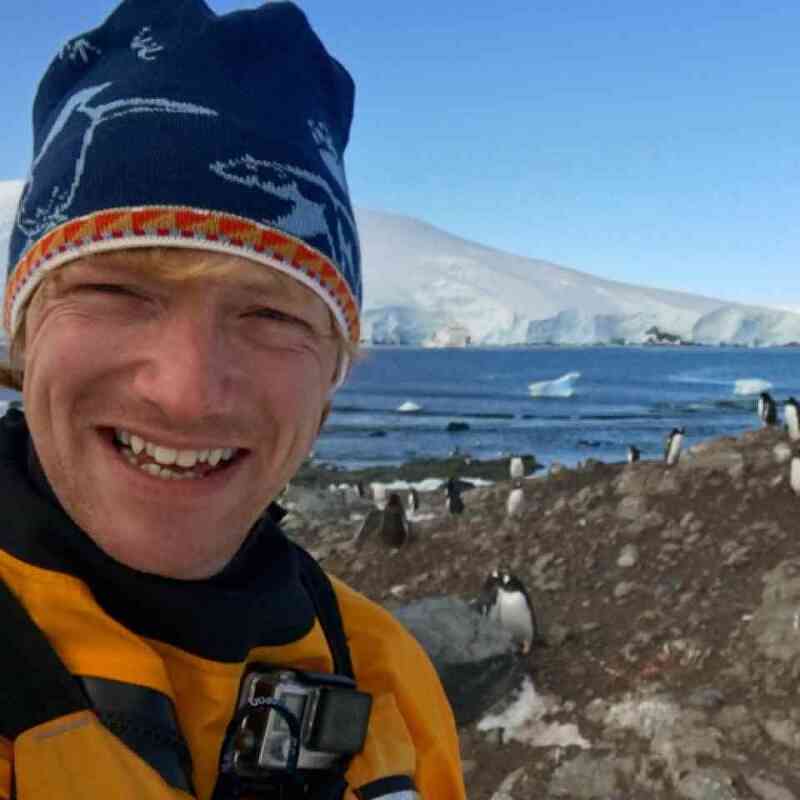 It's a great time to reflect on a wonderful voyage in this wild and remote place. Arriving back into Longyearbyen this morning, your journey comes to an end. A transfer into town is provided for those choosing to stay a few day, or to the airport for those departing. Kayaking in the thick brash ice by a big glacier, on a beautiful sunny day was a highlight....but then again, so was when the walrus popped its head up out of the water right in front of me when in the zodiac! The voyage and excursions and hikes were great. I loved having options for a more vigorous hike. Our trip was highlighted by a half-day observation of lone young female polar bear and a haul-out of a herd/huddle of bearded walrus. There is no single supplement for passengers willing to share a cabin. For those who want their own cabin, the single supplement in a twin cabin is 1.5 - 2 times the cost of sharing with another passenger.